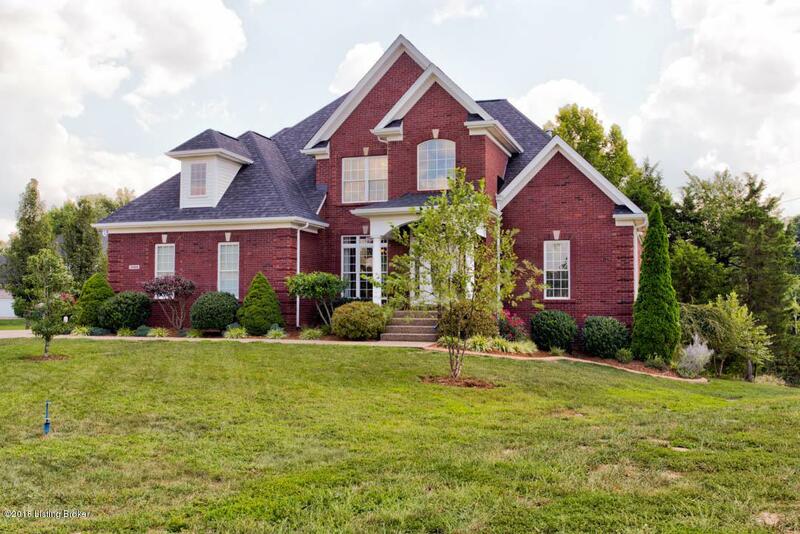 Fabulous home tucked in Glenmary Estates! Over 1/2 acre professionally landscaped yard to call your own. Hardwood flooring, 2-story foyer greets you to the formal DR and living room with gas FP open to the large eat in kitchen with beautiful maple cabinetry, granite countertops, large island, double ovens, two pantries & dining area. First floor MBR has vaulted ceiling, exterior door to deck, walk-in closet and master bath with whirlpool tub, walk-in shower and double vanity. First floor laundry with separate mud room and adorable window seat! Upstairs offers 4 BDRMS, one can be used as a 2nd MBR and 2 full baths! Zoned HVAC with two Nest thermostats. Huge finished walkout BSMT with full bath and rough plumbing for sink/wet bar. Tons of storage space.Covered rear deck & patio! Stunning backyard with professional curbing and landscaping throughout. This home has it all! Must see!